San José, Costa Rica. Our capital city and the economic and social center of the country. 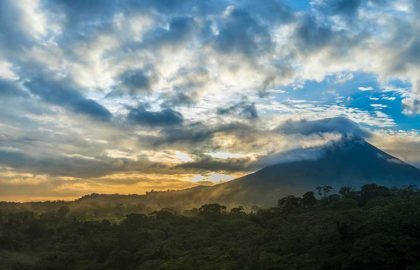 A buzzing town that will show you the human side of Costa Rica, the art, the history and the place where half of the population lives. San Jose, Costa Rica. 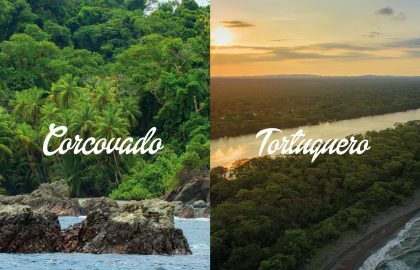 A capital city, a province and the human center of Costa Rica is located in the central area of the country, bordering with the provinces of Alajuela, Cartago, Heredia, Limon, and Puntarenas. The Central Volcanic Mountain range to the North East and the Talamanca mountain range to the South. The province covers an area of 4,965.9 km². and has a population of 1,404,242. The distance to San José, Costa Rica from the Juan Santamaría Airport is 11.74 mi (18.89 km) (0h 23min), and from the Liberia (LIR) Daniel Oduber International Airport is 131.17 mi (211.10 km) (3h 46min). We will mainly talk about San José downtown, although there is a lot more to see in its outskirts. This is the main area that we recommend you to visit, and the one that we are referring to throughout this post. A small space that covers, at much, 5 square kilometers, a place where there are less than 30,000 inhabitants, but, nevertheless a city that gets, every day, more than one and a half million people going across. It is like a giant bus station with markets, museums, theaters, galleries, plazas, Congress, schools, churches, and universities. As we will see in its history, San Jose was not planned as a city, and it shows: It has grown beyond its capacity, and historically the architectural line or a minimal harmony in its outline have not been a priority. 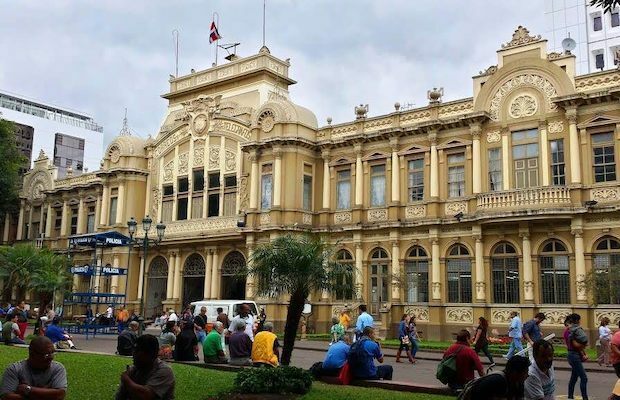 In San José, Costa Rica, you will find gorgeous classical buildings like the National Theater, in front of dull-looking structures. Architecture meant to serve the purpose of the owners of the buildings without any regard of the surroundings or beauty or style. It can be dirty, noisy, messy… A city in a few words. But it can also be interesting and have some beautiful sights. 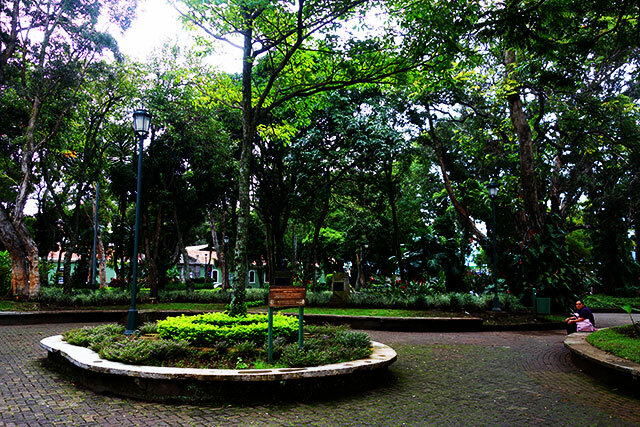 There are parks that are breathtaking tropical gardens, classical or art decó structures, beautiful or impressive statues, gorgeous blooming trees, and there are some particular characters… like the old men playing the marimba or the drummers that play in the middle of the street vendors shout. Plus there is usually something going on… an art festival, a music fair, some concert. Especially in the sunny season, in March or April and in the weekends you may find all sorts of activities going on. We will create a written walking tour that maybe you will want to use as a guide to walk through San José, although our recco, of course, is to get a good certified guide that will take you on this walk. Let’s say you are coming from the east side of town so that we can start this written tour by what we call: “la Cali” (Diminutive of La California). This area started with a big cinema theater called “Cine California” (Already gone and demolished), later on, another theater (Still alive and kicking) opened almost in front of it: Cine Magaly. As these two theaters opened, restaurants and bars began their way to the customers that used to go out from the movies looking for a place to sit and drink or eat something. You will find, especially at nights and on weekends that a great crowd of young people meet in these streets. As you go to the side of La Cali area, you will find “El Atlántico Train Station,” called like that because initially, it was the station to go all the way to the Caribbean. It is a tiny building with a great weight of history. 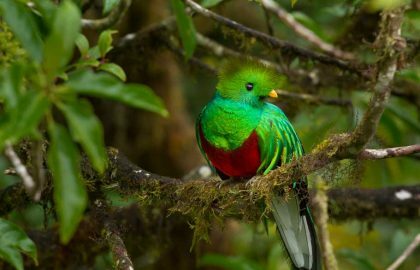 (Find it in the Brief History of Costa Rica). Now, we will have to see the blocks surrounding this park to understand why this park became so important. On one side we have a 1970’s styled building: The National Library. For history connoisseurs, there are a couple of fascinating ancient Spanish Chronicles in there! If we go CCW, On the other corner there is a small corner plaza called “La Plaza de la Libertad Electoral” (Electoral Freedom Plaza) and the building behind is the “Tribunal Supremo de Elecciones.” The primary organism that watches after a clean elections process. It is important to say, that this institution is the Fourth Power of the Republic, and becomes the first in election time. 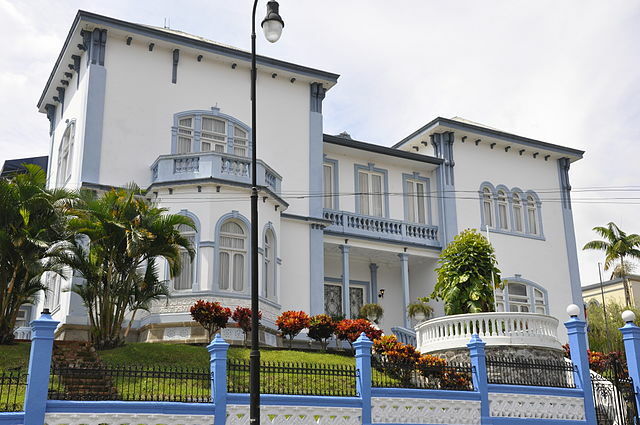 Originally constructed to be the Presidential House, the edifice was made in the 1940s in neocolonial style. Now, if we go on walking down the small boulevard on the side of the Congress, you will find a gorgeous neocolonial styled house. 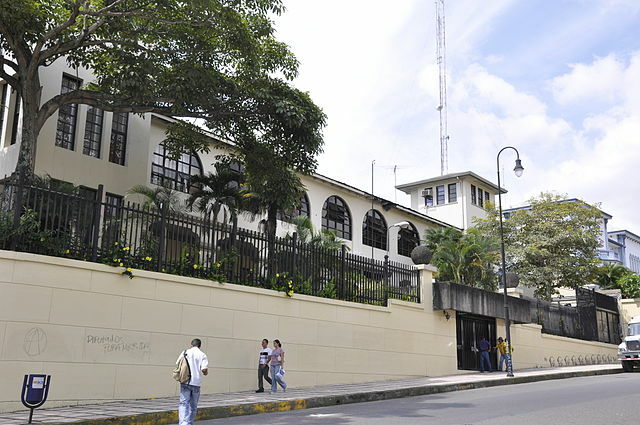 The “Castillo Azul” that was also designed to become the Presidential House of Costa Rica by someone who was always a candidate and never the president and it became the first U.S. Embassy of Costa Rica. Nowadays it’s the Congress Directive Board’s office. And in front of it, you will see an old adobe house and, behind and on the side, a massive army headquarters building: towers, bullet holes, and thick walls. 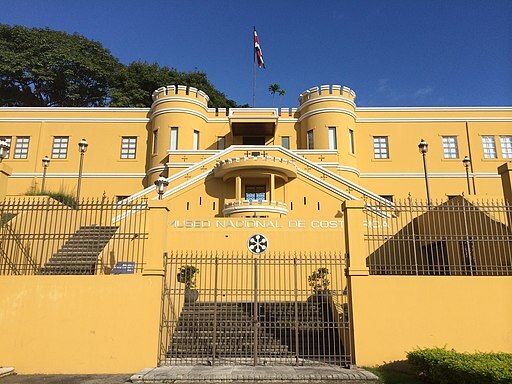 The old San José, Costa Rica army garrison, since 1948, became the National Museum. The entrance is going down from the Castillo Azul and to the “Plaza de la Democracia” (The Democracy Plaza). Surprisingly you will enter through a beautiful butterfly garden, find the place where the Costa Rican army was abolished and come out to a small beautiful garden surrounded by a corridor and the main halls of the museum. 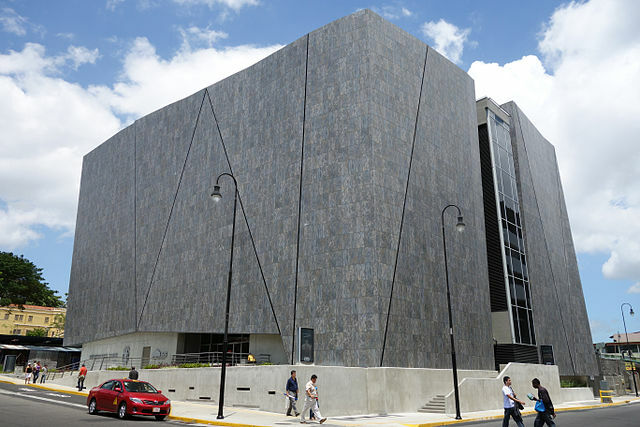 The National Museum of Costa Rica keeps the most important precolumbian pottery collection in the country, together with a replica of a house of the XIX century and several art gallery halls. 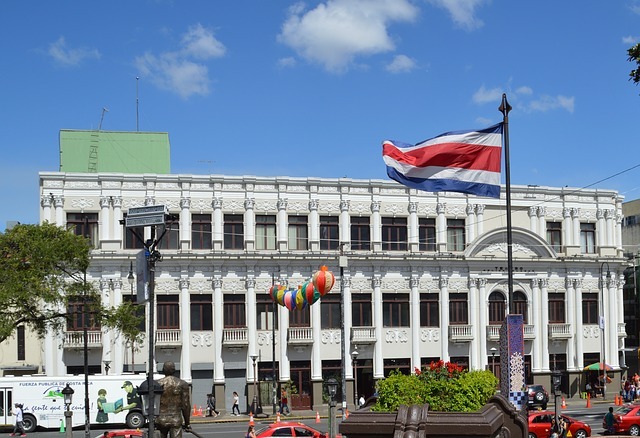 As you go out from the National Museum, you will go across the Plaza de la Democracia and see a significant and massive five stories building: The Jade Museum. The facade is motivated by the actual geometry of a vein of uncut jade; the museum brings together over 7,000 pieces, the most relevant collection of jade, ceramic and archaeological pieces in the country. Beautifully displayed and creating interactive experiences, this will be one of the highlights of this walkthrough San José. As you go out from the Jade Museum, turn to your left and start walking. Go across the street for one block and then turn right (If you turn left you will find the Costa Rican China Town), two blocks, pass underneath the “Puente de los Negritos,” and you will find a tropical haven in the middle of the city: The Parque España. With the old Liquor Factory to the right, nowadays the Contemporary Art Museum, the “Casa Amarilla” (Ministry of Foreign Relations) in the back and on the side the Buenaventura Corrales elementary school made totally of metal in Belgium and ensembled in Costa Rica at the end of the XIX it’s a remarkable architectural and historical building. As you go across the street, you will find “Parque Morazán” with a round gazebo in the middle: The Temple of Music. A place where you may find concerts art exhibitions of different sorts. Or sculptures or paintings now and then. Now, follow the route in the map, and go down the block to find the entrance of the Central Avenue Boulevard. On the very corner, you will see an old restaurant: Chelles. Not much of a looker, but great and real! Typical Costa Rican food. Ask of course for the “Casado”. They might not speak much English as this is a Costa Ricans mainly sort of cafeteria. One detail about Chelles: It opens 24/7. 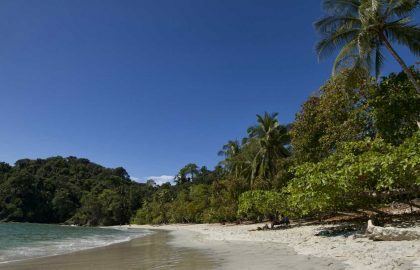 So, every single Costa Rican, young or old, rich or poor, who’s ever been out partying all night long, has had at least a coffee at dawn here. If you don’t feel like eating there, keep on walking up the boulevard, you will see several options to enjoy a great meal. 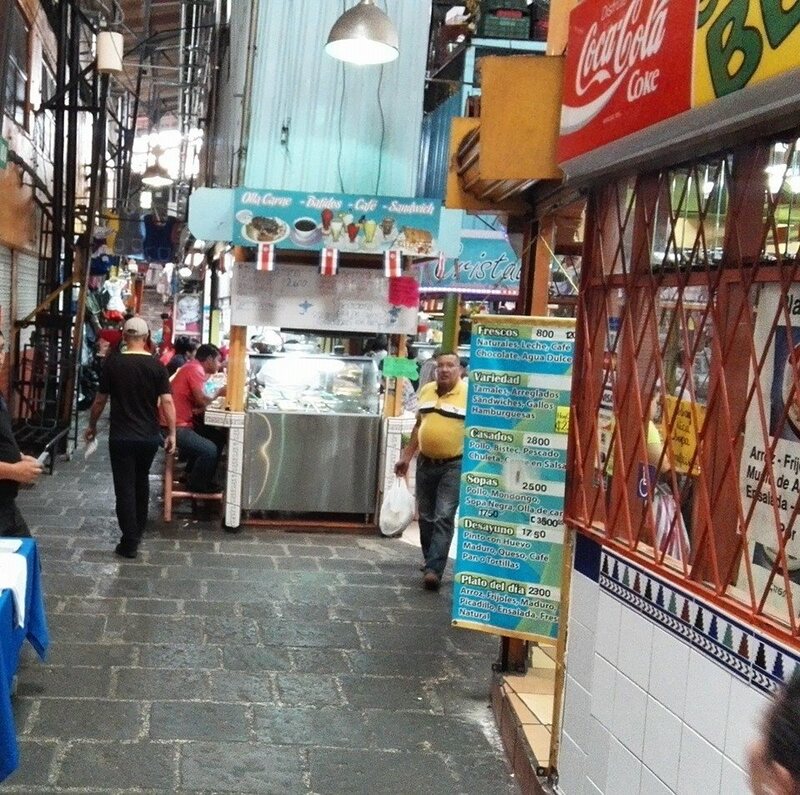 Although we would recommend waiting for the Central Market, you may also want to see “Galería Central.” A place where there is a small food court with great prices and several different choices. 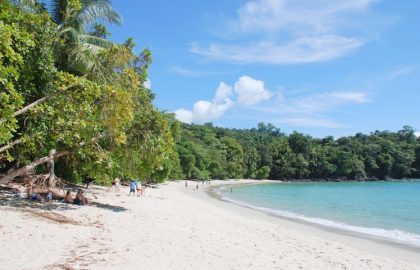 This is where the Costa Ricans go. 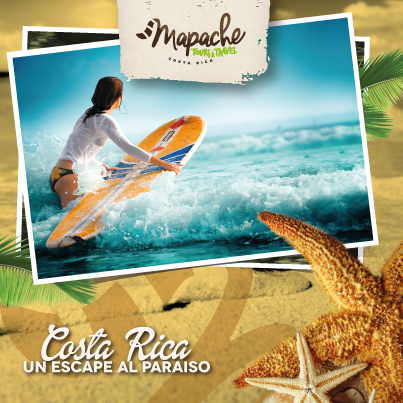 You will find a great Lebanese place on the second floor and a fantastic typical Costa Rican cuisine in the first. You will go on walking towards the West and find the renowned Plaza de la Cultura, with the Gold and Coins Museums underneath. We recommend you to visit the Gold Museum, not only because its collection and display are remarkable, but the building itself is worth a visit. 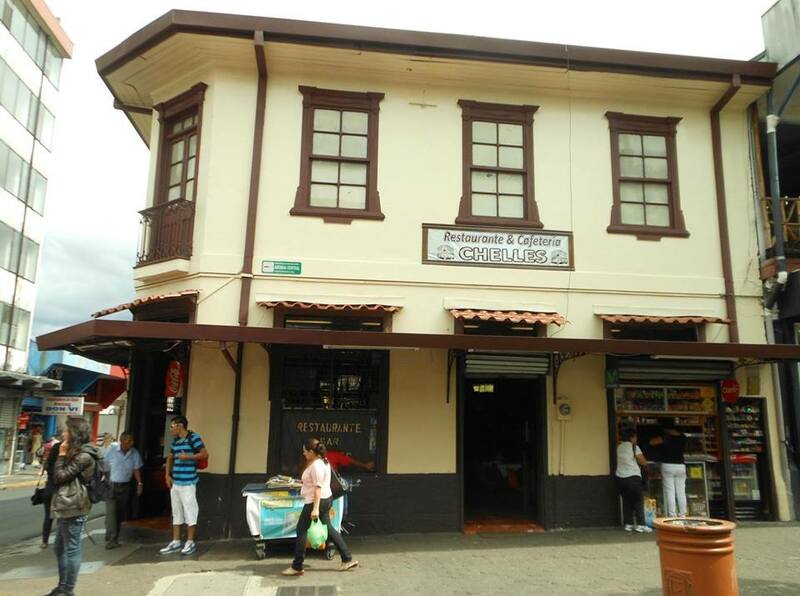 As you go out back to the outside, and if it is a sunny day, we highly recommend getting ice cream at Pops (Costa Rican best ice creams) and just sitting at one of the numerous benches of the Plaza. And take the time to observe how the Costa Ricans bring their children to feed the doves and play with the interactive, colorful fountains water in the plaza. Created when Costa Rica had less than 100,000 inhabitants, it has been a symbol of the Costa Ricans love for education, art, and beauty. It must have been quite a sight in a village surrounding by coffee plantations and consisting of mainly wood and adobe houses. It was as well the first contact that many Costa Ricans had with opera or symphonic music. 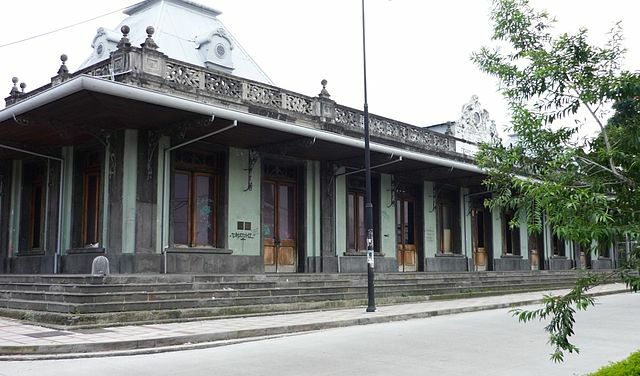 A visit to the theater is compulsory if you are in San José, and you will enjoy it much more with a guide that can tell you about all the stories in the history of the National Theater. 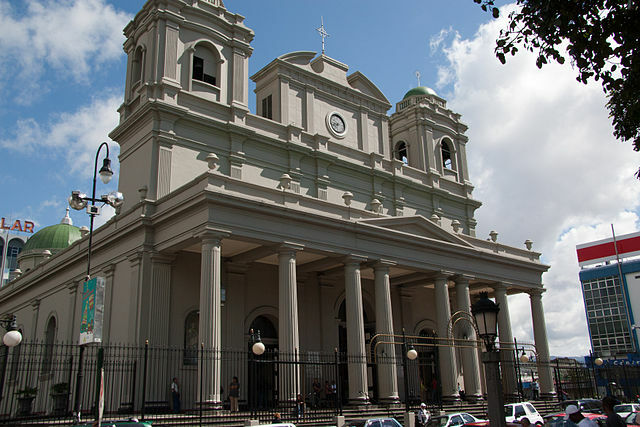 You may then continue your walk in the Central Avenue, for a couple of blocks, arriving in Central Avenue with Central Street, you may want to turn left one block and see “Parque Central,” the Metropolitan Cathedral and the Melico Salazar Popular Theater in the Second Avenue. The only wide street in the city. 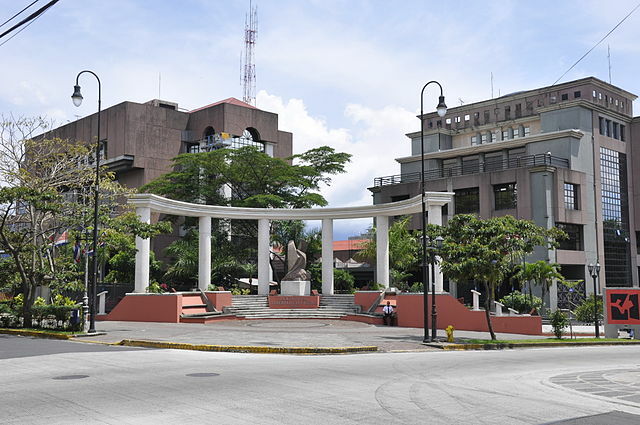 Coming back to Central Avenue, you will go on walking West until you find the Banco Central, the heart of the economic life of Costa Rica. If you turn right for a block there, you will see the Post Office, a gorgeous building that takes one solid block and it’s worth the picture. As you come back to the corner of Banco Central (Central Bank), you will find a couple of art pieces also worth the picture: “La Gorda” (The fat lady) on the side and “Los Presentes” (Symbolizing the peasants of Costa Rica) at the entrance of the building. You will go on, one more block to finally reach the Central Market, which deserves a post on itself! A labyrinth of alleys where you can find almost anything in the Costa Rican World, from turkeys and dogs to fresh flowers, souvenirs, all sorts of groceries, vegetables, fruits, coffee, and herbs. And fantastic and super affordable Costa Rican food! 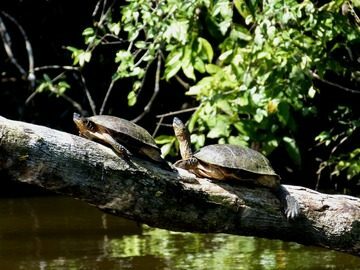 The Bolivar Zoo and Botanical Garden (A zoo and Rescue Center that is meant to go out from the area, but that holds a beautiful botanical garden, and a peaceful and alive haven. SpyroGyra: A very complete butterflies garden very close to the Bolivar. And very close too, the National Children Museum. An old quite spooky prison that was turned in the nineties in a fantastic children museum, that children and grown-ups enjoy tremendously. On the other side, going to the South, you will find the Justice Courts, our “Barrio Chino” (China Town) and the old Pacific Train Station. It is essential to have private transportation driving you within these attractions as they are not in the safest areas of San José. Where to stay in San José? If you are willing to spend a few nights in San Jose, we recommend staying in the Grano de Oro Hotel at the entrance of the city. The Park Inn, the Presidente Hotel or the very traditional Grand Hotel Costa Rica, that now is part of the Hilton hotels. 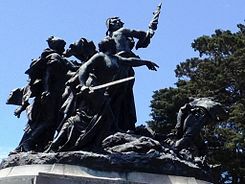 What to do in San José? If you are using San Jose as a hub for one-day excursions, we have great ideas for you as there are plenty of activities to enjoy within one or two hours distance. There are plenty more options in San Jose, and we will fully touch them as we go into the Central Valley region and all its areas and different choices. 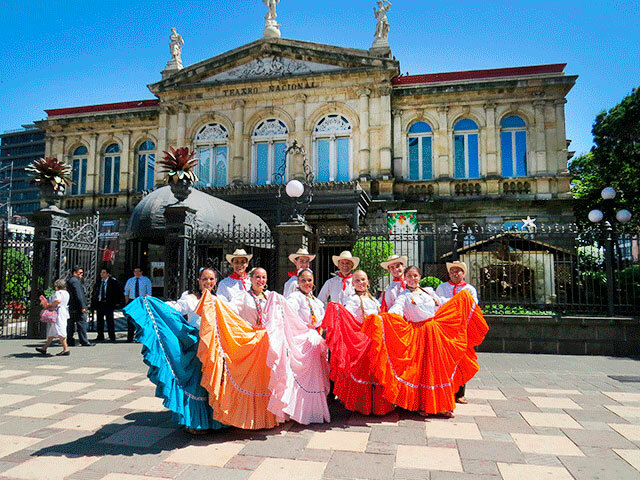 San Jose is a fantastic city, never mind its looks… it is part of the Costa Rican culture and will show you a lot of the way of life, art demonstrations and traditions of our people. Please contact us and we will create a great trip for you, either spending one or two nights in the capital city or using it as a hub for your business or vacation trip!